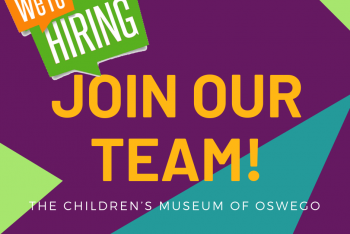 CMOO is seeking a motivated individual to be our new Director of Education. The Director of Education is an integral staff member, in charge of managing our rapidly expanding programming and outreach. BIG changes are coming to CMOO! The museum will be closed while we complete our renovations to bring in 10,000 square feet of NEW exhibits! The museum will re-open in 2019 and will be BIGGER and BETTER than ever! 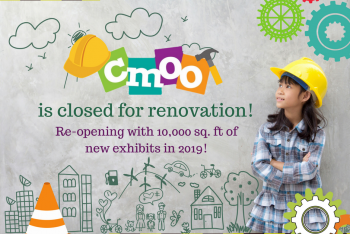 Learn more about CMOO’s Build, Play, Grow Capital Campaign for the renovation, expansion and installation of 10,000 square feet of new hands-on, minds-on exhibits! A two-story cloud climber, water table, aluminum factory and other exciting exhibits are about to become a reality for CMOO! CMOO has launched our Build, Play, Grow Campaign with more than $275,000 in gifts and pledges already received!